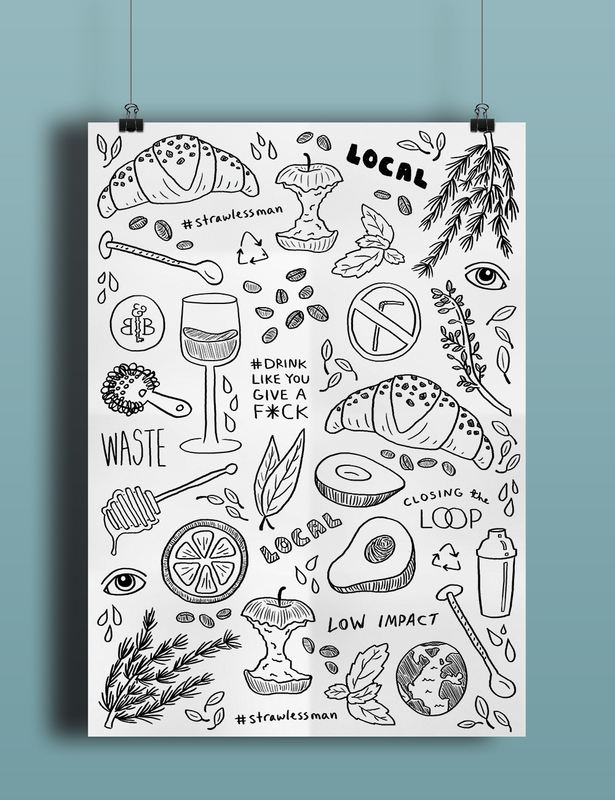 I worked with Bath & Bottle, the Isle of Man's best cocktail bar, to illustrate their first sustainable menu: "Closing the Loop - Vol. 1." Their new approach makes use of local and previously wasted produce, features environmentally friendly straws, and is most importantly super tasty! 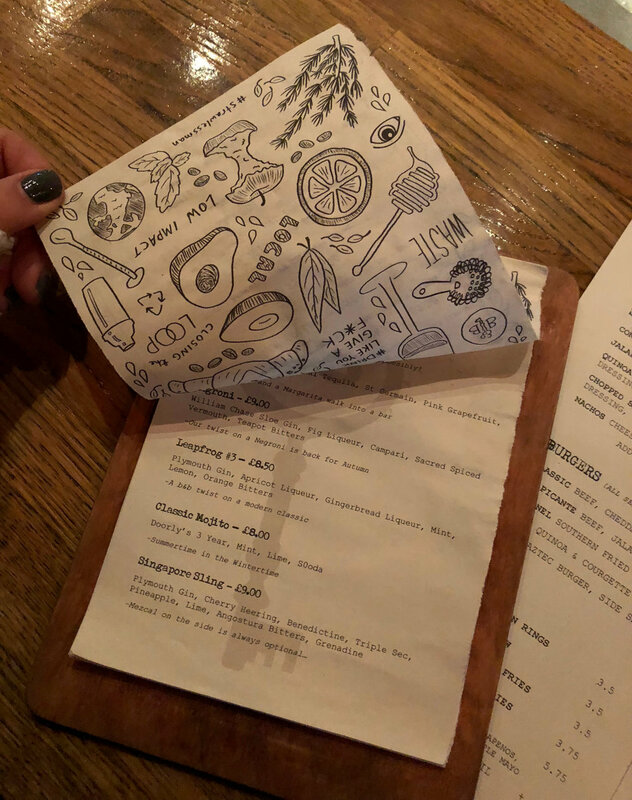 I illustrated both sides of the menu with a variety of sustainable sketchy drawings and words, embodying the DIY approach of this innovative new drink selection.